after reading his story that it made me realize that I am INDIAN. then some Native American elders have something to teach you. discovered as an adult that he was Indian. This is his story. studying Mono language with the 2nd graders at North Fork School. treating her with herbal medicine (and some vitamin C that she agreed to accept). saying I was part Indian and never brought it up in normal conversation. that's Indian. Show me what part you mean." yerba santa tea she had made for me and went home still thinking about her words. at one of my feet and said, "I wonder if that foot is an Indian foot. shopping, she was standing beside my pick-up, smiling and laughing. let me hear you say you are part Indian anymore." She died last year, but I would like her to know that I've heeded her words. and her words have echoedin my memory ever since. and in finding a friend in Les Tate. 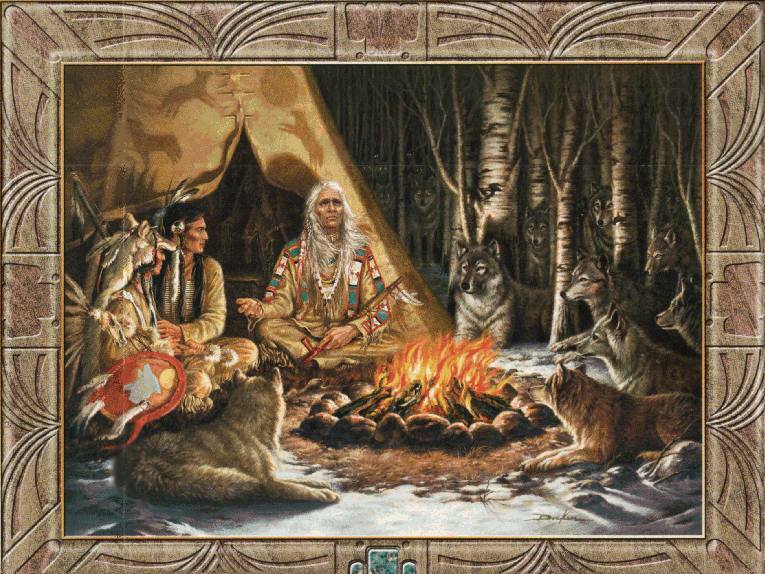 Here at my fire anyone may speak when handed the talking stick.